Illinois and the surrounding area. O'Fallon is located in St. Clair County on I-64 just east of St. Louis, Missouri. oversees the maintenance of historic Rock Spring Cemetery. Admission to both museums is always free. Tour groups are welcome but advance notice is appreciated. actor William Holden, are celebrated in permanent exhibits, as well. The Society meets the third Tuesday of each month at 7pm at the main museum at 101 W State. Interesting programs are often featured and the public is always welcome. We welcome you and invite you to learn more about our town by exploring our selection of online resources. 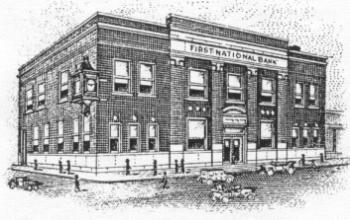 Would you like to become a member of the O'Fallon Historical Society? Dues are only $15 per year for individuals, $20 for families. Email us for an application. Copyright 2011 O'Fallon Historical Society, Inc. All rights reserved. Click here for copyright information. government in 1905. The Community Park was established in 1924 and a public library in 1930. Fuchs. Today, at over 25,000, O’Fallon is one of the fastest growing cities in the St. Louis area. News page on this website. In case of inclement weather, please call ahead before visiting the museum to make sure we're open. school related items will be posted. Click on the "Photos" link at the top of this page to check them out. mayor. Meetings are open to the public. 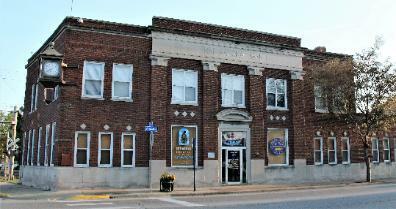 Historic Site by the St.
Society on Oct. 19, 2008.
of businesses and professionals including city offices. Want to know about our sister city, O'Fallon, Missouri? 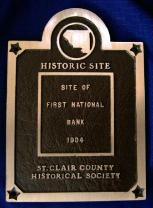 Check out the website of their historical society here.